If you are interested in the latest equipment and technology for professional manure management, plan to attend the 2017 North American Manure Expo on August 22 and 23, 2017. Wisconsin hosts the Expo this year and it will be held at the University of Wisconsin-Madison Arlington Agricultural Research Station. The 2017 North American Manure Expo will feature tours, field demonstrations, hands-on product and safety education, educational sessions, exhibitor booths, and commercial vendor displays. Tours on August 22 require a $20.00 registration fee. There is no cost to attend any of the Expo events on August 23. Tours, demonstrations, exhibitors, educational sessions, and sponsorships are nearly finalized. Visit the website http://www.manureexpo.com/ for up-to-date information on all the activities associated with this year’s Expo. 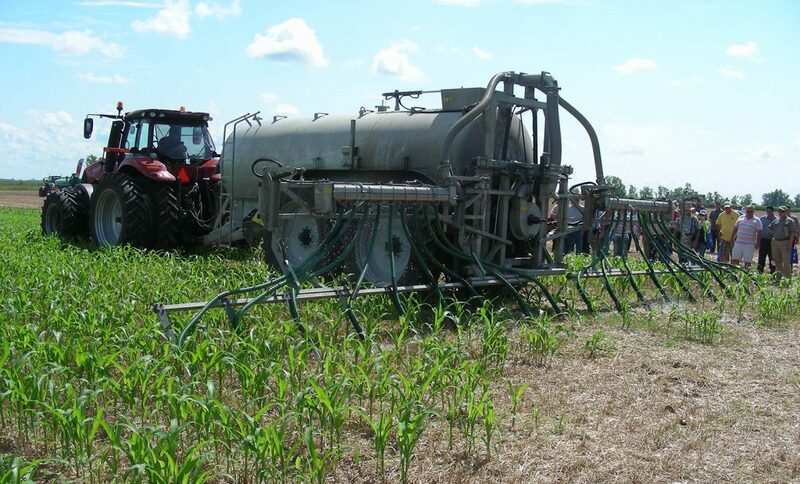 The North American Manure Expo is presented by the Professional Nutrient Applicators Association of Wisconsin, University of Wisconsin Extension – Nutrient Management Team, Annex Business Media, Manure Manager Magazine and is supported in part by a consortium of land grant universities and conservation agencies from across the United States. For more information about the 2017 North American Manure Expo, please contact George Koepp or Richard Halopka, Columbia County and Clark County Agricultural Agents, respectively, University of Wisconsin-Extension. George: 608-742-9682, george.koepp@ces.uwex.edu; Richard: 715-742-5121, richard.halopka@ces.uwex.edu. Posted in Fertility & Soil, WCM newsletter, What's New?